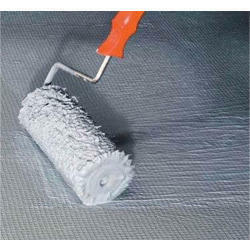 Offering you a complete choice of products which include waterproof epoxy paints. As the reckoned manufacturer and supplier in this domain, we provide our clients with premium quality Weather and Waterproof Epoxy Paints. For interior and exterior walls, the offered paint is processed using the finest quality chemicals and advanced techniques in accordance with the set standards. Moreover, offered paint is tested on various parameters of quality in order to supply perfect range. Our paint is provided in various customized packaging options as per the varied needs of customers. Looking for Waterproof Epoxy Paints ?